What do Lady Gaga, Jennifer Aniston, Gwyneth Paltrow and Dee Alams have in common? A fascination with the healing power of sweat- infrared therapy sweat that is! Dee, the founder of City Sweats Wellness Centers, pioneered Seattle’s infrared movement. While sweat therapy has been practiced by ancient cultures for centuries, infrared sweat therapy gained attention in the 1980s and went mainstream in the 2000s in cities like Los Angeles and New York. As a teenager, Dee chartered her own health path, taking up dance and fitness. After graduating from The University of Washington and starting a career in project management, she soon realized the traditional corporate environment was not for her. She decided to get back to her love for dance by opening her own fitness studio. Earning her wellness coaching and fitness certifications, she was drawn back to early introductions to sweat lodges, steam rooms and saunas. Aiming to amplify the healing that her studio clients gained, she introduced an infrared sauna to the studio in 2010. Due to the lack of infrared therapy available in the Seattle area, Dee had new clients coming from nearly 50 miles away, seeking help with problems ranging from mood disorders to debilitative diseases. The deal was sealed as Dee witnessed multiple client transformations, including her own in 2013 when she was severely injured, and infrared sweat therapy expedited her recovery. In 2014, Dee opened City Sweats. With services including Infrared Sauna Therapy, Ultrasonic Cavitation Shaping, Detox Facials and Scrubs, and Rehabilitative Massages, the company is committed to cellular level health that works from the inside out. A health and fitness enthusiast and self-proclaimed “sweat junkie,” it is Dee’s dream to see infrared therapy become accessible and convenient. 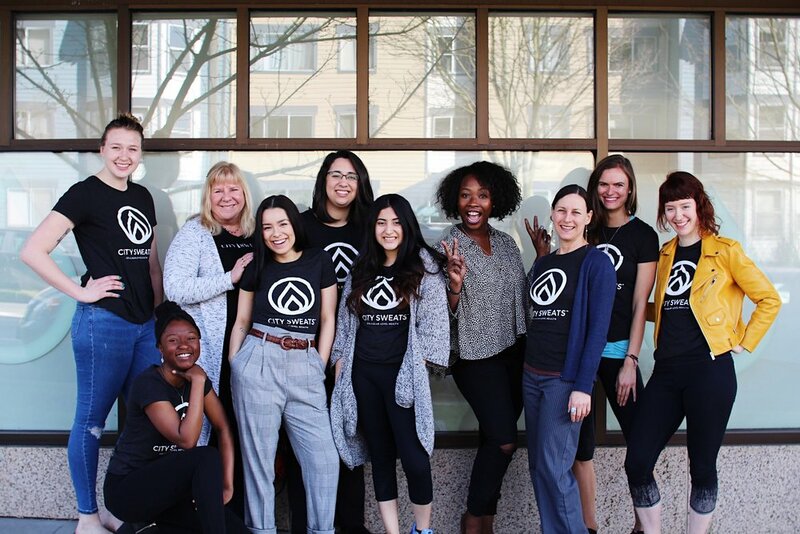 The increase in clientele and wellness partnerships that City Sweats is experiencing- with its two locations in the Madison Park and Wallingford neighborhoods- are getting Dee one step closer to that goal. In addition to overseeing the two locations, Dee enjoys anything outdoors, creating all natural and organic body products, cooking, dancing, playing music, and deeply connecting with loved ones. Dee is especially passionate about helping others, especially working with women and children. In her Fitness studio days, Dee spent many years teaching free dance classes to the women of Mary’s Place, teaching art and music to the teens at Ryther Center and working as a court-appointed advocate for Family Law Casa. Philanthropy is a true passion for Dee, as she feels that “success is doing what you are truly passionate about, while always looking for ways to expand our hearts. I feel fortunate to have a career that fills both needs.” Dee is currently working on an e-book, focusing on sweat therapy detox called “The Dee-Talks Method.” Join our CitySweats sweat tribe!